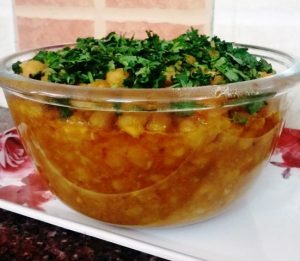 Masala chole are one of the most delicious dish of North India. Everyone loves them at my home. We generally have them with pooris or bhature (Indian bread varieties). 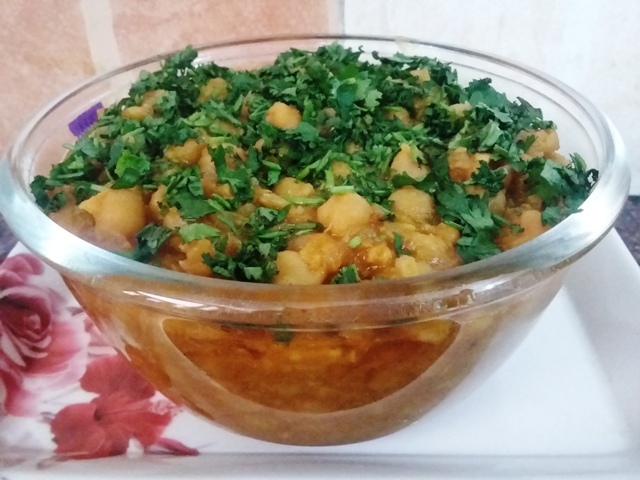 Here I am sharing my recipe for Masala Chole with you. Enjoy ! 1. 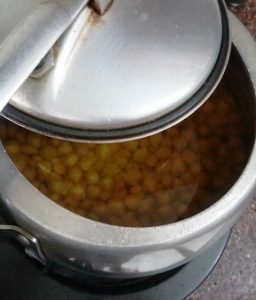 Pressure cook the soaked chickpeas with 1 tsp salt and 1 sp oil – give at least 4-5 whistles. Then put the gas on sim for 5-7 minutes. 2. Grind the onions, garlic and green chillis in a food processor. 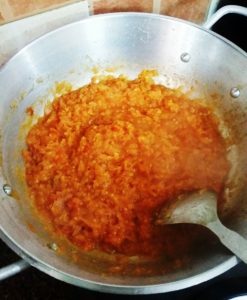 Separately grind the ginger and tomatoes also. (Alternatively, you may finally chop all these). 3. Now heat a Wok and put 2 – 3 tbsp oil in it. 4. Then put the ground onions garlic and chillis mixture in the wok. 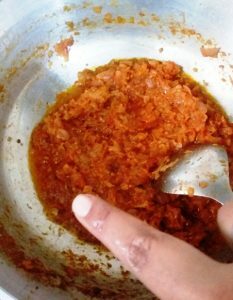 Once the mixture turns translucent, add the tomatoes and ginger mixture. At this point, you must put the gas on sim. 6. Now add all the spices and cook for 2-3 minutes. 7. 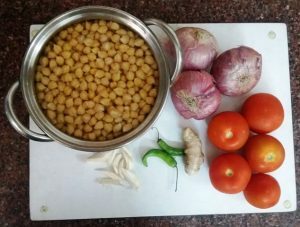 Further, add the chickpeas and enough stock to the masala. 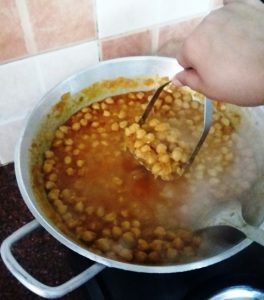 Cook for 5-10 minutes and then mash the chickpeas roughly. 8. 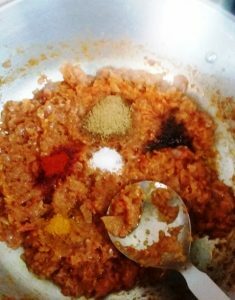 Once the whole chickpeas mixture turns a little thick, you are done. 9. Garnish with chopped coriander and serve hot with Pooris, Bhaturas or Kulchas. Turned out delicious! 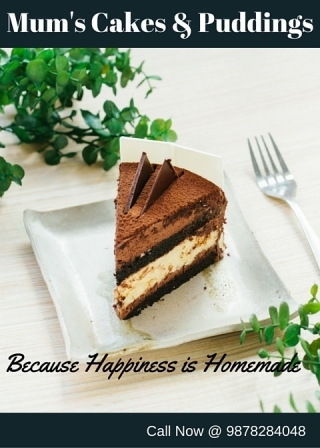 Simple recipe , restaurant style!